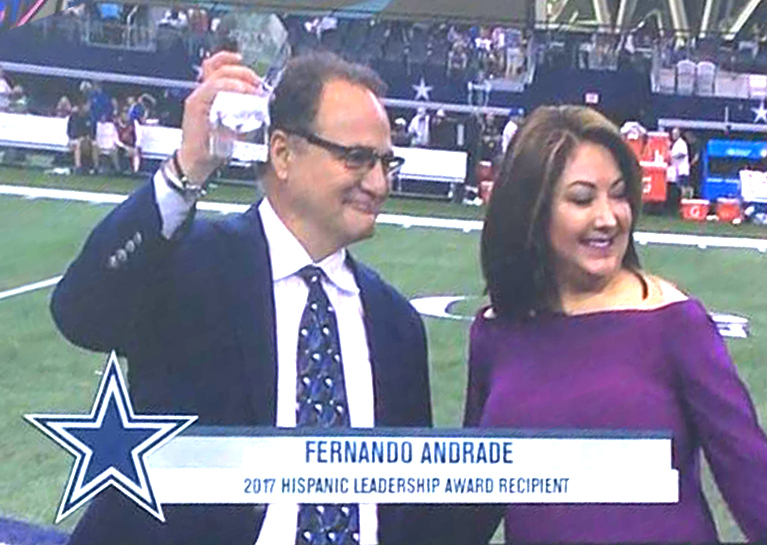 The Dallas Cowboys and The National Football League celebrated Hispanic Heritage Month on Sunday, October 1st with the 7th Annual NFL Hispanic Heritage Leadership Award during the halftime show at AT&T Stadium. The award recognizes the contributions of Hispanic leaders in each NFL market. 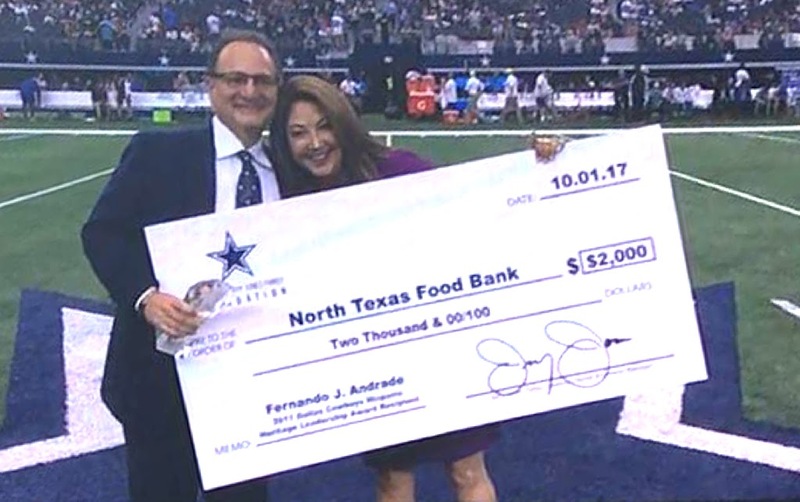 Fernando was recognized on the field and received a $2000 check from Nationwide, to be presented to The North Texas Food Bank. The theme of this year’s Hispanic Heritage Month recognition is “Feel the Orgullo.” In Spanish, the word “orgullo” means pride. Latino players, fans, and coaches have a strong sense of pride not only in their culture but in their team and the NFL. During Hispanic Heritage Month, the NFL and its 32 teams will amplify the rich history, heritage and tradition of Latinos, and honor the positive impact they have had on the game and country.